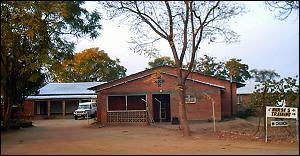 Nyadire Hospital (NUMH) was one of the first departments of Nyadire United Methodist Mission, which was founded in 1923 by Samuel Gurney and named for the river that marks its border. Today the 200-bed hospital offers healthcare to approximately 500,000 men, women and children in the immediate region surrounding Nyadire. Serving approximately 150,000 patients each year, NUMH strives to deliver quality health care services and improve the quality of life in the community while facing serious social and political pressures, and severely limited resources. At Nyadire, the most common patient ailments include tuberculosis, malaria, pneumonia, malnutrition, and hypertension. 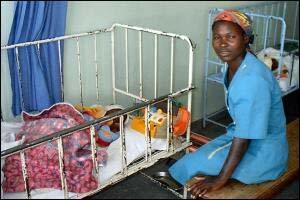 HIV/AIDS is also commonly seen at the hospital, especially in pregnant mothers. The hospital provides a range of primary and preventative health care services to address these maladies including general medicine, women's health, surgery, pediatrics, tuberculosis (TB) and malaria treatment, and an immunization outreach program.